코펜하겐, 덴마크의 글로벌하겐 호스텔 | 호스텔월드에서 예약하세요. 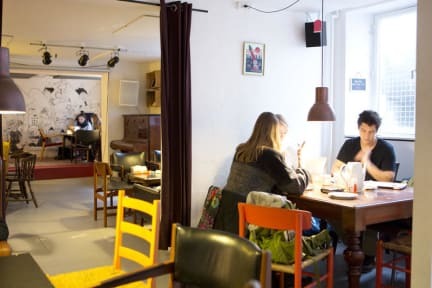 Located right in the heart of the vibrant and multicultural neighborhood of Nørrebro, stands the first volunteer built, designed and driven hostel, Globalhagen – the world under one roof. It is a place where you will fit in no matter your gender, nationality, age or sexuality. We are non-profit and income from every stay is allocated towards supporting various projects in countries where there is severe violation of basic human and civil rights. Managed by the non-governmental organisation Mellemfolkeligt Samvirke (Action Aid Denmark), our strategy is that all of the collected funds will be used to educate young women and men from the local community to better organize, express themselves through arts and build strong communities that are capable of demanding their governments for their rights. 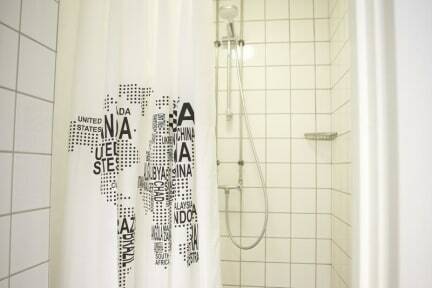 All our rooms are named and inspired after the countries where Action Aid operates in. We are Eco-friendly. We have taken extra attention in serving food and beverages that are organic and Fair trade. Cancellation policy: 72 hours before arrival. Payment upon arrival by cash, credit cards, debit cards (Mastercard, VISA, Maestro, V Pay, VISA Electron). This property may pre-authorise your card before arrival. Check in from 14:00 to 22:00 . Check out from 09:00 to 11:00 . Taxes included. 혼성 썼는데도 별일없었네요! 깔끔하구요 ㅎㅎ 설명대로 찾아가니 잘 찾아갔습니다! 구글 위치에 찍힌 곳으로 가시면 호스텔 뒷편 나오니까 여기 있는 설명 보고 찾아가세요!